Unique golden pearl wedding crowns. Handmade in Greece these amazing stefana pearls in gold color, fabric flowers, porcelain buds and leaves. Tied together with a satin ribbon. 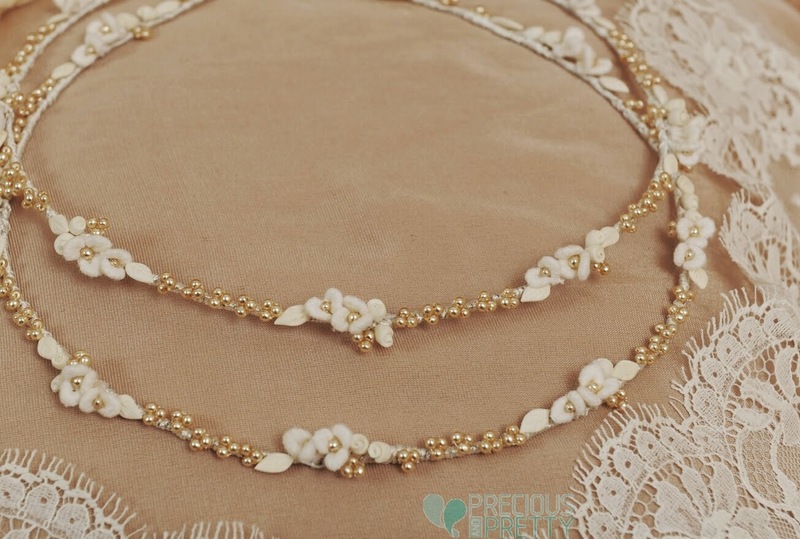 https://www.preciousandpretty.com/2019/01/golden-pearl-wedding-crowns-1079.html Greek Wedding Favors|Orthodox Crowns|Stefana|Baptism Invitations Golden pearl wedding crowns 1079 Golden pearl wedding crowns with flowers and porcealin buds. Product #: Greek Wedding Favors|Orthodox Crowns|Stefana|Baptism Invitations_1103538932120858920 5 stars out of 5 reviews.